If you have been arrested, you may be scared and worried about what steps you need to take to get out of jail. Bail bonds in Alabama can help you get out of that jail cell while you are awaiting your trial. If you have never used a bail bond before, you may be wondering what steps you need to take and how you can go about securing one. When you have access to a phone, call a relative or friend and ask them to speak with a bail bondsman for you. If you do not have anyone you can call, you can reach out to a bail bond agency and a bondsman can discuss everything with you. One thing to keep in mind when you are searching for a bail bond agency is that not all bondsmen handle all types of crimes. For instance, you may find that one bondsman handles DUIs and theft bonds, but not murder bonds. Pay attention and choose someone who can help you in your situation. A bail bond is not free and you will be responsible for paying for the service. You can pay in cash and you can also choose to place collateral up as a guarantee. If someone else is signing the paperwork for you, keep in mind that they will lose their property and money if you do not show up to court. 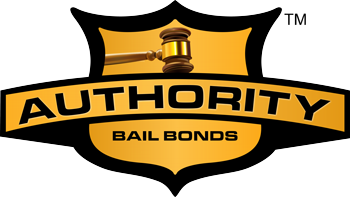 If you are looking for Montgomery bail bonds, there are many different agencies to choose from. Always do some research first before settling on a company and remember, you are in control of your future, so show up to your court date and handle your responsibility. In your article you mentioned that not all bondsmen handle all types of crimes. I find it interesting that bondsmen can choose which types of crimes to handle and which types they won’t work with. Do you know if they charge for their services differently depending on the crime, or is it solely based on the bail amount?